University staff across the country will vote on whether to return to the picket lines in protest of low pay, one year after a ballot for industrial action provided mandate for the largest higher education strike in recent memory. The announcement follows an initial nationwide ballot by the University and College Union (UCU) to determine if staff might be prepared to take industrial action against pay issues which have recently burst to the fore of discussion within the higher education sector. In the initial consultative ballot, 65% of voting UCU members said they would be prepared to take industrial action, with 82% voting to reject employers’ pay rise offer of between 2% to 2.8%. The consultative ballot, which saw a turnout of 47.7%, will be followed by a second ballot which will likely lay out the logistics of strike action in more detail. The second ballot will close in October 2018. Staff will vote to protest four issues: pay, casualisation, workload, and the gender pay gap. The announcement of potential further strikes comes three months after 40,000 university staff across the UK took to picket lines to protest pension changes, in the most disruptive trade union mobilisation in recent memory of the higher education sector. Explained: What are the national pay negotiations? Every year, 147 universities, including Cambridge, are represented by the Universities and Colleges Employers Association (UCEA) and meet with five higher education trade unions – UCU, UNISON, Unite, EIS and GMB – in a Joint Negotiating Committee for Higher Education Staff (JNCHES) for annual pay negotiations. These negotiations determine the increase in values of the 51 spine points on the national pay scale. Employees’ unions meet before negotiations begin to decide on their claims. This year, three scheduled meetings of the JNCHES culminated in a final offer from the UCEA which employees have refused to accept, triggering the UCU ballot calling for industrial action. Speaking to Varsity, a spokesperson for Cambridge UCU said: “By rejecting the employers’ pay offer, UCU members have made clear that University employers need to do much more to address issues of pay and equality”. Representatives from employees' unions jointly agree on their push for a headline pay rise figure of 7.5% or £1500, alongside demands regarding the gender pay gap and exploitative employment contracts. Negotiations between employers and employees commence, as the JNCHES meets in the first of three scheduled meetings. The UCEA makes no opening offer, but confirms they have a mandate to negotiate, and would respond to unions’ claims. The UCEA makes its first offer at the second meeting, proposing an increase to all spine points of 1.7% or £350 – whichever is the greater. Employers made their final offer, proposing a slightly higher 2% increase for staff on spine point 16 and above, and £425 for staff on spine point 15 and below. The UCU holds their 2018 Higher Education Sector Conference, and resolves to ballot members for industrial action on pay. The initial UCU consultative ballot closes, with 82% of members voting to reject the proposed pay increase, and 65% voting that they were prepared to take industrial action. The turnout for the initial ballot was 47.5%. The emerging pay dispute was triggered by how this year’s annual pay negotiations between employers and employees played out. Negotiations this year also involved employees’ calls for urgent action on staff workload, gender pay inequality, and precarity in employment contracts. When employers’ final proposals were tabled in May by the Universities and Colleges Employers Association (UCEA), they were rejected by the five employees’ unions involved in the national negotiations as inadequate and insubstantial, creating a stalemate in negotiations. A framework for action on gender pay inequality. Progress on a UK-level action plan to urgently tackle the use of precarious/exploitative contracts. A national framework to reduce excessive workload and ensure proposer compensation for hours worked. A £10 per hour living wage for all. Yet negotiations reached a brick wall on several of these issues. This year’s national pay negotiations saw employers offer a 2% to 2.8% increase for staff on spine point 16 and above, and £425 increase for those on spine point 15 and below – a figure distant from trade unions’ demands of a 7.5% pay increase, or £1,500, depending on which was greater. The nationally agreed single pay spine affects the majority of higher education institutions within the UK, with greater spine points corresponding to higher salaries. The employers’ association noted in negotiations that half of eligible employers will also be eligible for a 1.5% progression pay increase. In a statement on their pay offer, the Universities and Colleges Employers Association (UCEA) said that their pay rise offer “more than matches the current level of inflation”, a claim the UCU directly disputes. UCU argues that the proposed national increase in staff pay falls below current inflation rates, citing a figure of 3.4% as measured by the Real Price Index (RPI), a methodology used to calculate the rate of inflation which was stripped of its national statistic status in 2013. The accepted formula by the Office for National Statistics for calculating the rate of inflation, the CPIH, calculated a rate of 2.3% in May, though the union argues that the CPIH underestimates housing costs. Before the ballot closed, Cambridge UCU had “strongly” recommended that all members vote to reject the pay offer, in favour of industrial action. In a blog post detailing the branch’s position, Cambridge UCU characterised the national pay offer as “a choice on the part of the employers, not a necessity”. Explained: What does UCU mean by employment casualisation? The vast majority of staff at higher education institutions are employed under one of three types of contracts: permanent/open-ended, fixed-term, and atypical contracts. In 2016, the Higher Education Statistics Agency (HESA), found that for academic staff, 66% were employed on permanent/open-ended contracts, and 34% on fixed-term contracts. It also reported that 71,960 staff were employed by higher education providers on atypical contracts. UCU cites staff figures on fixed-term and atypical contracts as indicative of an increasingly casualised sector. They argue that insecure contracts are detrimental to maintaining high quality of university education and leave staff fiscally vulnerable, while defenders of the contracts argue that contracts provide employees and employers with greater flexibility. Open-ended/permanent contracts: Staff employed on a contract of employment where they are categorised as permanent staff, and do not have an end date stated in their contract. Fixed-term contracts: Staff employed for a fixed period of time or with an end date on their contract of employment, including staff on rolling fixed-term contracts. This is most commonly used for research positions. Atypical contracts: Staff employed under impermanent contracts, which may involve work away from the supervision of a normal work provider, and do not state a minimum number of hours worked. Both so-called 'zero-hour' contracts, and contracts for visiting lecturers or staff otherwise temporarily employed by a University fall under this classification. They said, on the significance of the pay ballot: “We are fighting for a national framework to hold our employers to account and reverse this dismal trend”, urging members to vote to take action on casualisation. Casualisation refers to universities increasingly hiring staff on flexible contracts, instead of permanent ones. Staff are concerned this has created uncertainty for staff with insecure contracts, and creates conditions inhospitable for academics need to do work of quality. The UCU, however, said the offer “falls way short of the action” needed to “urgently address” the issue of precarious employment. UCU’s calls for immediate action on gender pay inequality met a stalemate in UCEA negotiations last month. The UCEA’s final offer did not include action on the gender pay gap, opting for its current working group to continue its work in compiling a report on its findings within the higher education sector in the autumn of 2018. UCEA has also said that it will ensure gender pay inequality is a “substantive item on the agendas” for meetings with employees. 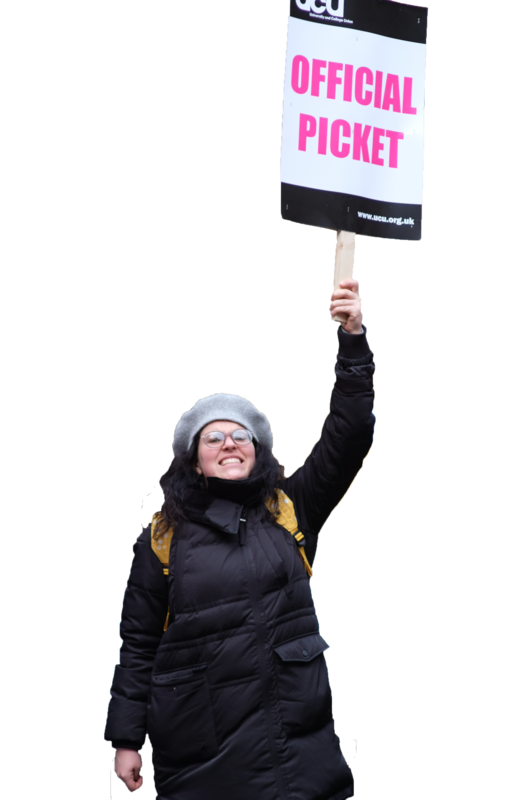 Cambridge UCU’s equality officers told Varsity: “The current 2% offer will contribute to a worsening gender pay gap, [leading] to lower salary uplifts for women given the significant gender pay gap. “Sub-inflation basic pay rises have led to a growth in additional payments, which worsen the gender pay gap, since they disproportionately go to men. A Varsity analysis in February found Cambridge had a 20.0% gap across the University between average total incomes of men compared to women. 77.8% of the total value of market-related payments – a financial incentive used to ensure staff retention – went to male employees in 2017. Market-related and bonus payments are generally concentrated in higher pay brackets, where women are proportionately underrepresented. In urging members to vote for industrial action, Cambridge UCU said regarding the gender pay gap: “We cannot be sure that our employer, or any other, will go beyond gathering data and hosting glossy events”. The union branch held a meeting on 16th April specifically on combating Cambridge’s gender pay gap, which the University’s interim gender equality report attributed to men being more concentrated in positions at the higher end of the scale compared to their female peers. The results of last term’s strike action – a push for the creation of a Joint Negotiating Committee to reevaluate pensions changes, the promise of preserving a guaranteed income for staff upon retirement, and a reconsideration of the national pension scheme deficit valuation – will likely shape how university staff vote in the upcoming ballot on strike action. 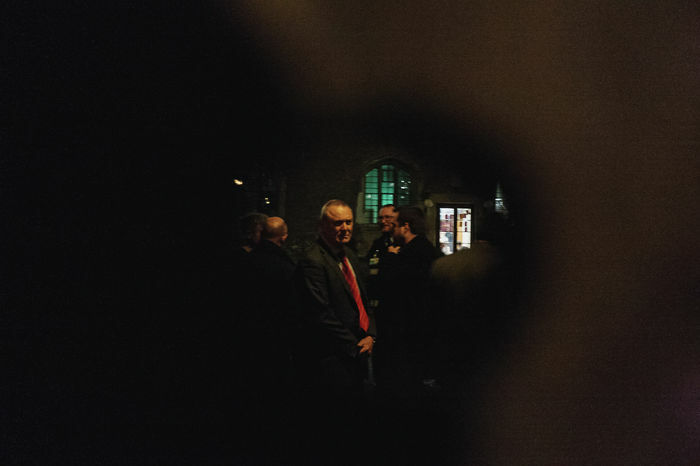 In Cambridge, the UCU branch saw its membership surge over the course of the strikes, as well as unprecedented levels of student solidarity which culminated in a five-day student occupation of the University’s Old Schools building – a central administrative site. A spokesperson for Cambridge UCU said that the issues of pay stagnation and casualisation indicate “something going badly wrong in UK higher education. The support for the strikes earlier this year shows that this is widely recognised throughout the Cambridge University community”. The Lent term strikes and corresponding direct action by Cambridge students highlighted a sense of disconnect with University senior administration, most clearly seen in two open meetings with vice-chancellor Stephen Toope, which had been agreed to in response to occupiers’ demands.